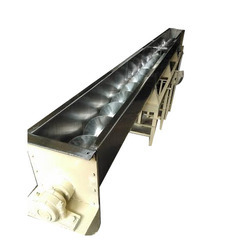 Manufacturer & Supplier of Screw Conveyor. Our product range also comprises of Continues Ball Mill, Ice Crusher and Air Classifier. We are among the reputed names in the industry for manufacturing and supplying Screw Conveyor to our revered patrons. The offered conveyor is used for conveying of materials including pellets and powders while processing them in chemical and fertilizer industries. This conveyor is sturdy in construction, energy efficient and user friendly. It is available in various technical specifications for meeting with the demands of the customers. We are a most trusted name among the topmost companies in this business, involved in offering Multi Screw Conveyor.